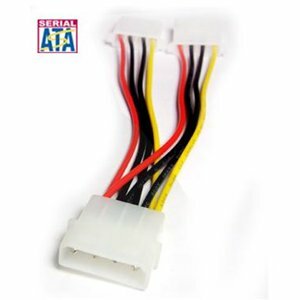 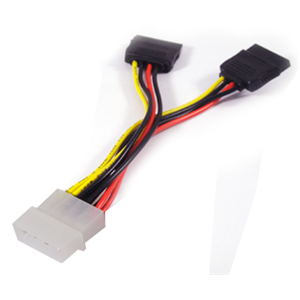 Power adapter, 4-pin Molex male to 2 x 4-pin Molex female. 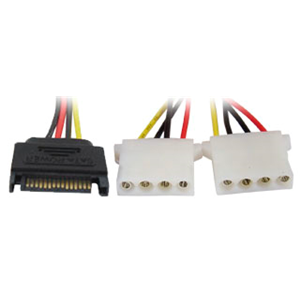 Use this y-shaped power adapter to connect two Molex powered devices to a single Molex connector. 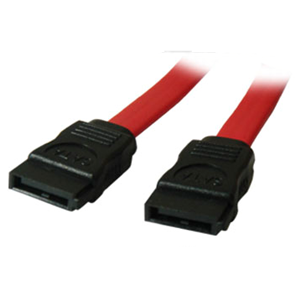 Length of the cable: 14cm.Approx.